There’s no two ways about it: in the commercial vehicle world, size does matter. Well, size and payload – and price and whole-of-life costs, for that matter. 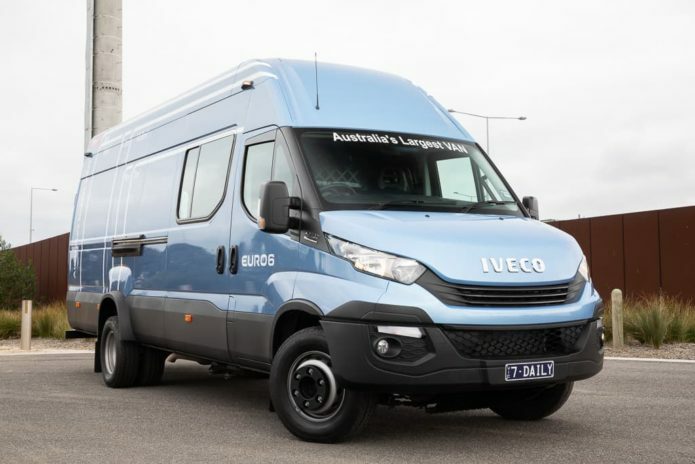 And, with its Daily 70C18V, Iveco has neatly addressed the lot, while also producing what it proudly proclaims to be, “Australia’s largest van”. It’s not wrong – with an internal volume of 19.6 cubic metres and a gross vehicle mass (GVM) of seven tonnes, this Daily eclipses any other current volume-production van offering in this country. And with a payload of 3924kg, the company is touting it as a viable alternative to a light-duty pantech truck – with the van benefits of better handling, ride and comfort.